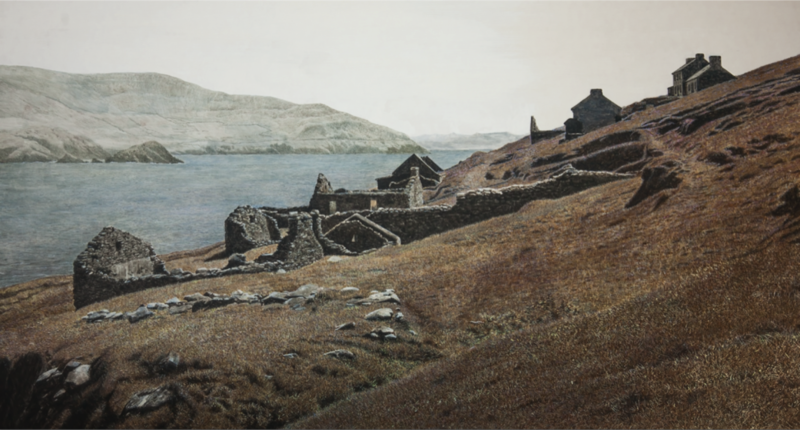 This is the haunting sight of the abandoned village on Great Blasket Island. The windows and doors of the crumbling houses seem to look longingly towards the mainland for their owners to return. The remaining islanders were evacuated in 1953, and electricity never reached the Irish-speaking community in Europe's westernmost village. Many of the Blasket descendants live in Springfield, Massachusetts, and some islanders still live on the Dingle Peninsula (in the background), looking across to their childhood island homes.